1. Collect two large handfuls of sphagnum moss, taking care to keep them intact. 2. Remove any obvious leaf litter from the moss. 3. 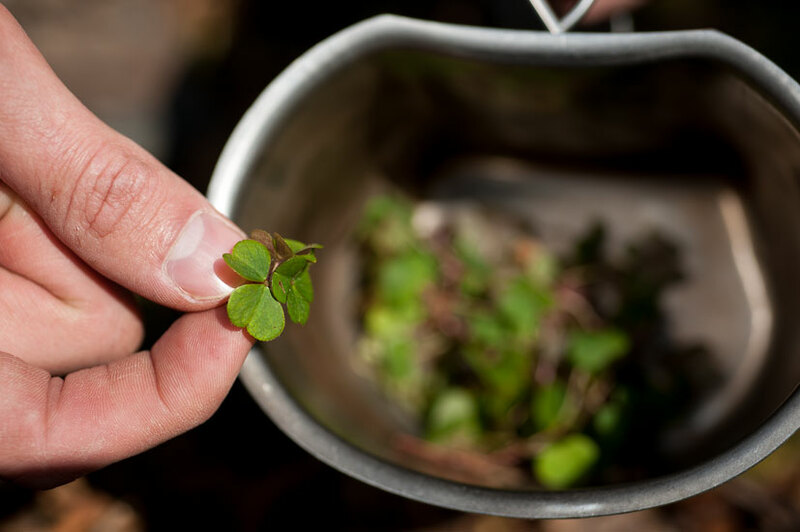 Collect a handful of wild sorrel (make sure that you are confident in identifying the plant first). 4. 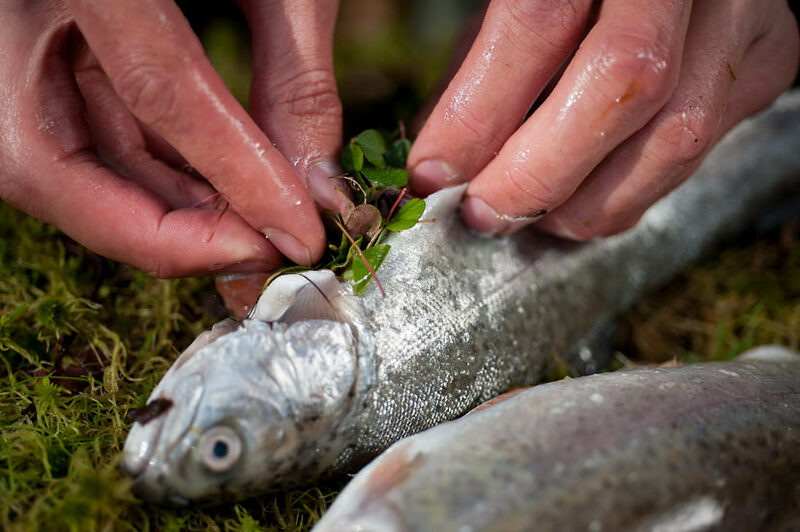 Gut and clean both fish, then stuff them with the sorrel (at this stage you can use the clean side of the moss as a place to prepare the fish). 5. 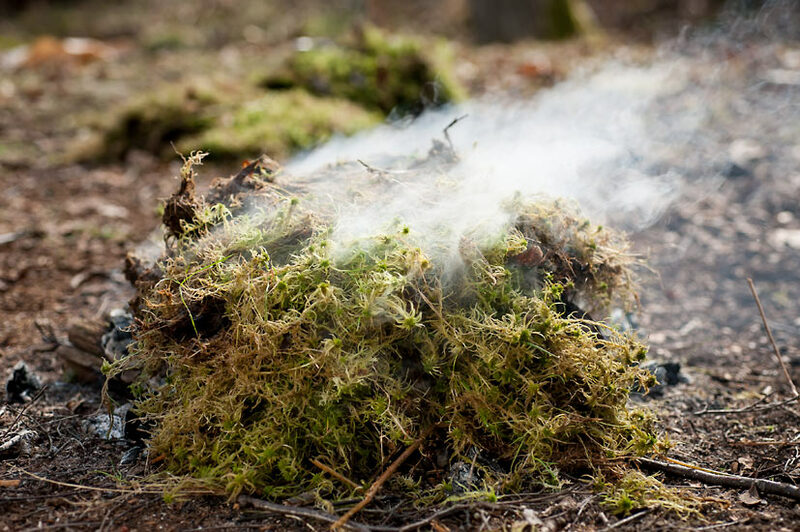 Once your fire is ready, place the first layer of moss on top of the embers. Place both fish on top of the moss. 6. Cover the fish with the second layer of moss, so that the soil and roots are facing upwards. 7. 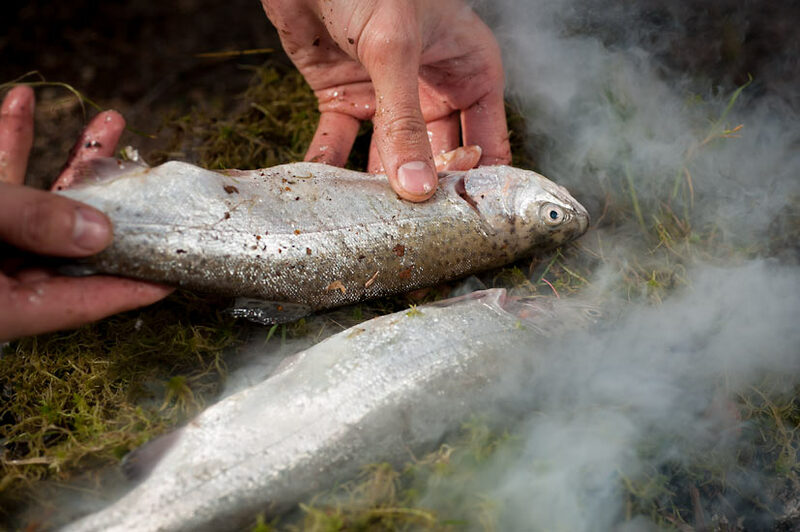 Leave the fish to steam. 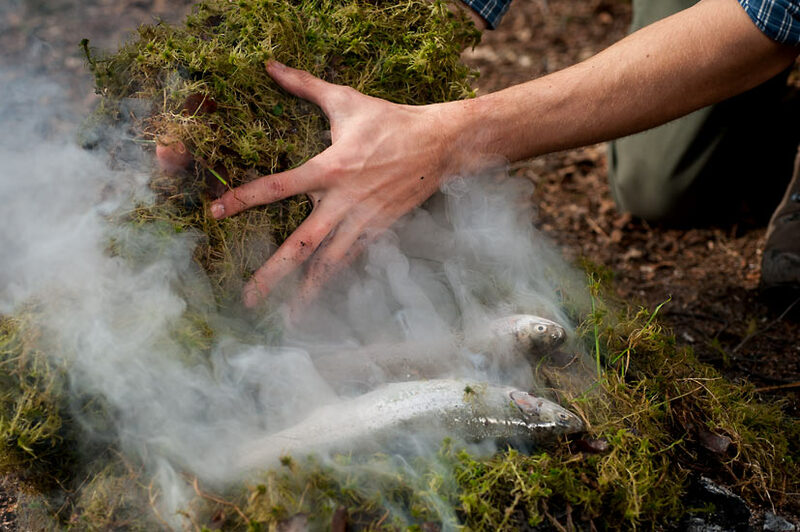 When the fire has been prepared correctly, you should see copious amounts of steam rising from the moss. 8. 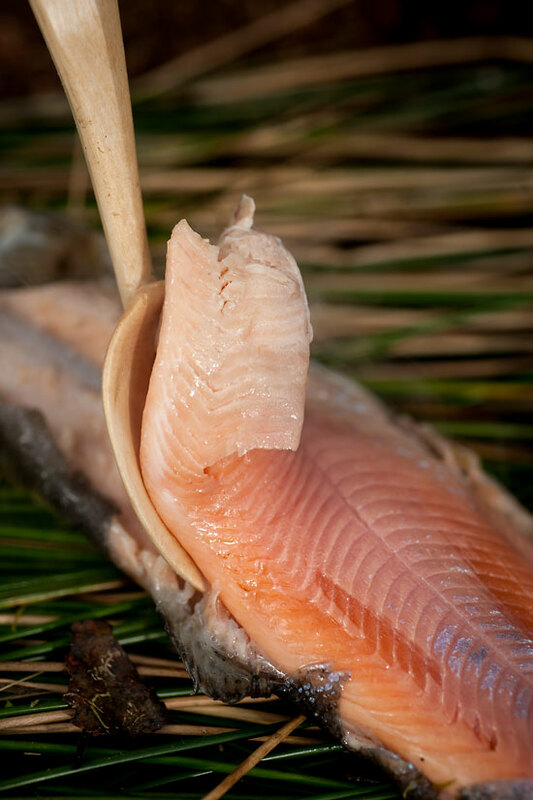 After 30 minutes of steaming, check on the fish periodically and turn them if they are not cooking on top. 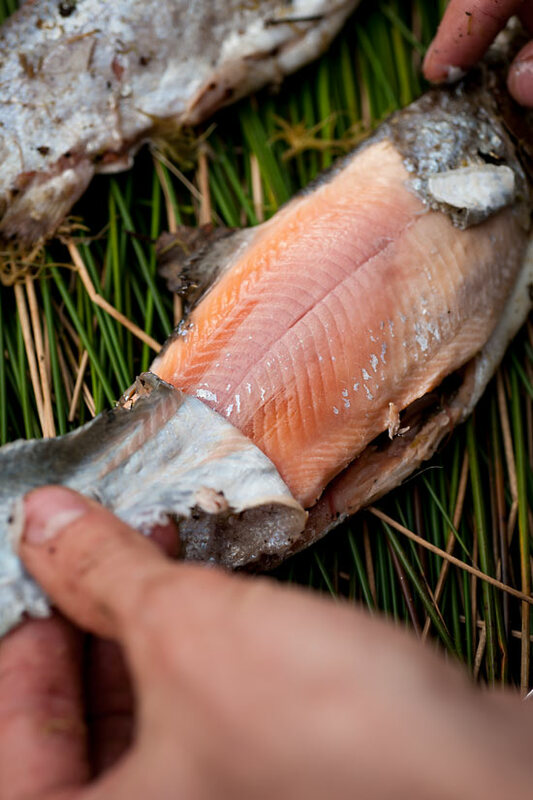 A simple way of testing if the fish is cooked is to gently press your thumb against the skin; when the fish is ready, the skin should slip away from the flesh easily. 9. Remove the fish from the fire and peel away the rest of the skin. Spoon the flesh away from the bone. 10. Enjoy with a pinch of sorrel. Can’t beat a fresh Welsh wild brownie cooked on on open fire! This looks like a great way to cook fish! I wish it would work here in Montana, we don’t have that kind of moss. Instead, I just wrap my fish in a bit of tin foil and throw them on the coals. 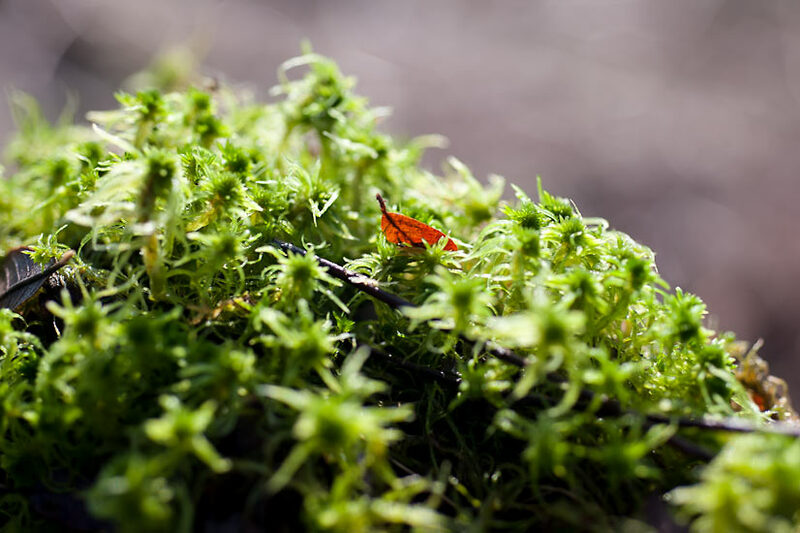 Sphagnum Moss is common in damp woodlands and riverbanks. Please don’t remove it from Peat Bogs or Mires, this is a very endangered habitat and is in dire need of conservation. 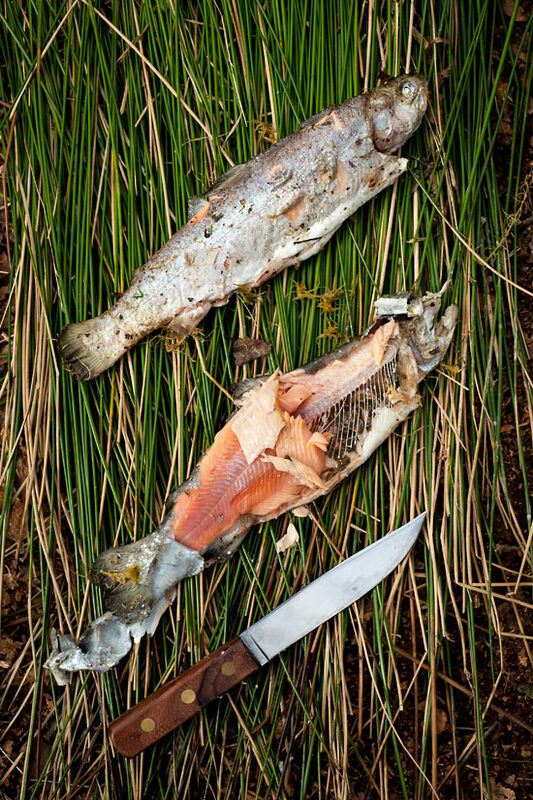 An excellent way of cooking all forms of trout or small Salmon. Wood Sorrel can be found in abundance in most woodlands and has a small white flower in spring. A leaf or two of wild garlic, or a handful of Garlic flowers will also taste as good as a stuffing. This is great! Thanks for passing along your wealth of knowledge!